Only 60 pieces of this beauty will be made available. 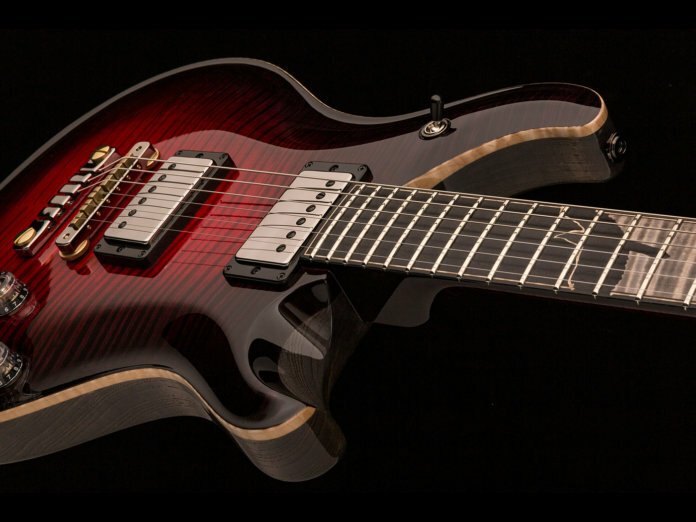 Fresh from PRS’ Private Stock collection is the McCarty 594 Graveyard II Limited. Like its predecessor, the Graveyard Limited, this 60-piece run is based on the brand’s iconic McCarty 594 model with a few high-end touches. The guitar’s showpiece is an arresting “Graveyard” curly maple top. This special tonewood originates from trees that bordered an old mountain-top graveyard located on the USA’s East Coast. An iridescent Raven’s Heart high-gloss nitro finish and Raven headstock veneer add to the axe’s stunning profile. Another standout feature is the exquisite ebony/faded-grey maple fingerboard that’s adorned with ebony avian-themed inlays. This sits atop a Pattern Vintage-shaped curly maple neck. Electronics-wise, the Graveyard II Limited retains the 58/15 Treble and 58/15 LT Bass pups found on the original McCarty 594. Its tone is governed by two volume knobs, two push/pull tone knobs, and a three-way pickup selector. Completing the guitar’s dark theme is a Smoked Black two-piece stoptail bridge.